This summer EuroPride 2018 will be held in Stockholm and Gothenburg. 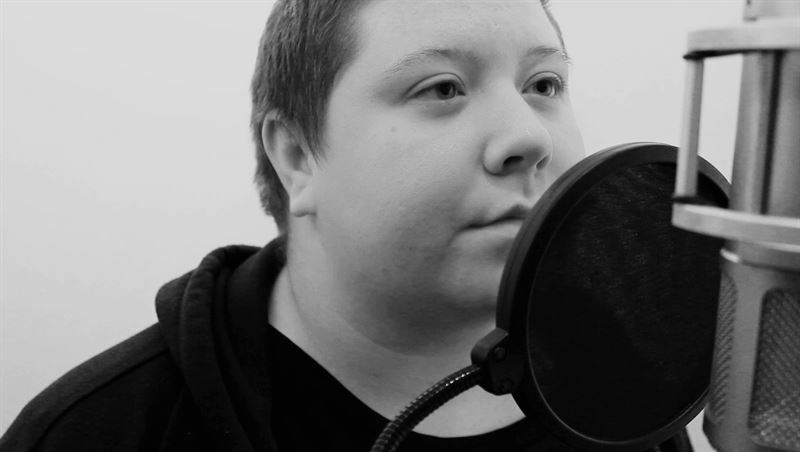 Ahead of the festival, EuroPride is launching ”The Voice of Change”: a voice recording of a transgender person, Alex, while undergoing his gender transition from female to male, with an important message about transgender rights. In over 60 countries in the world it is currently illegal to change your gender identity. In preparation for EuroPride 2018 in Stockholm and Gothenburg, EuroPride wanted to highlight what they’re really fighting for: the human right to be who you really are. To bring attention to transgender rights, a part of the LGBTIQ+-community that is often victimized and marginalized, EuroPride 2018 recorded a message to the world, with the help of Alex. A transgender person in transition from woman to man. – For every shot of testosterone Alex received, we made a new recording. Every recording taking him a step closer to the person he was meant to be. After many months, we combined all the recordings into one powerful message, and an invitation to EuroPride 2018 this summer. Because EuroPride 2018 is both a fun, memorable experience and an important gathering point to continue working for change. Together, we are The Voice of Change, says Britta Davidsohn, acting president for Stockholm Pride. – One of our most important responsibilities as Pride-festivals is to put focus on the injustices and oppression that LGBTIQ+-persons still suffer, in other countries and here at home. By arranging EuroPride we can aim a spotlight at life-critical issues, like transgender people’s living situation, shape public opinion and make demands for change and respect, says Tasso Stafilidis, president for West Pride. This summer is the first time EuroPride is jointly hosted by two cities, Stockholm and Gothenburg, and is co-organized by Stockholm Pride and West Pride. The festival is held under the motto of ”Two cities, One Country – for a united Europe, open to the world”, and is expected to attract visitors from both Europe and the entire world. The project took many months, from the first meeting with Alex in June to the last recording day in December 2017. Many recordings were made to display as much of the gradual changes in Alex’s voice as possible, which is still changing. His gender reassignment consisted of both medical and surgical treatments. For every shot of testosterone Alex received, we made a new recording. During the recording process, Alex also underwent a mastectomy (chest reconstruction surgery) to get closer to his gender identity. Since Alex identifies as a trans-male we’ve chosen (with Alex’s approval) to be open with his gender reassignment from female to male. It is important to point out, however, that this does not apply to everyone going through a gender reassignment treatment, as treatments are available both to binary- and non-binary transgender people. According to a global overview created by National Geographic with TransRespect.org in January 2017 it is legally impossible in over 60 countries to change your gender identity. EuroPride is an annual recurring event, where a Pride Festival in Europe is entitled to use the title EuroPride. EuroPride is an international event that attracts visitors from all over Europe. In 2018, EuroPride is being conducted in Sweden for the third time, and for the first time with two cities as organizers. During EuroPride 2018, the event is jointly organized between the two festivals Stockholm Pride and West Pride. This will challenge the concept of EuroPride and create a festive event that lasts three weeks, linking Sweden's two largest cities together, Stockholm and Gothenburg. The European Pride Organisers Association (EPOA) holds the rights to the title EuroPride and grants the license of “EuroPride” to a different member each year. EPOA is a network of European gay, lesbian, bisexual, transgender Pride Organisations. EPOA was founded 1991 in London. The purpose of EPOA is to promote lesbian, gay, bisexual and transgender Pride on a pan-European level and to empower and support local and national pride organisations in their efforts of planning and promoting pride celebrations. EPOA also wants to facilitate networking and skill-sharing among members. Britta Davidsohn, acting president for Stockholm Pride. Tasso Stafilidis, president for West Pride.